Secluded and peaceful log cabin on 35 acres near Ft Collins,Co.The rustic 900 sq ft cabin features vaulted ceilings,warm wood accents,open living room/kitchen and central woodstove.The 2 bedrooms and loft provide ample sleeping area for family and friends.Off grid, the cabin is wired for a generator and water is carried in. 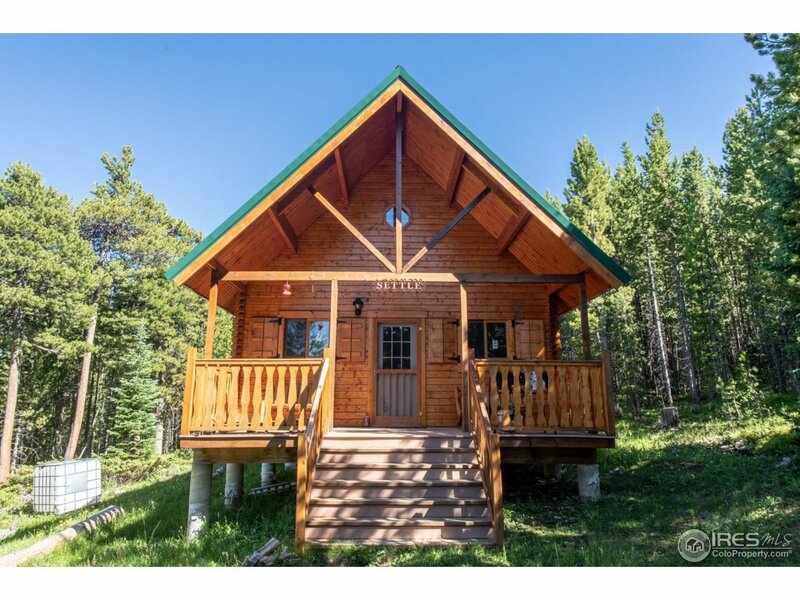 Located in Moose Haven,a private section of land within the Roosevelt Nat.Forest, this property offers unparalleled mountain seclusion and recreation. Winter access limited.